← The circle of life, chicken style. Playing in the Kitchen has now become Rivertree Kitchen. Same blog, same posts, same author (me); just the name has changed. I’d been meaning to start a blog for over a year, since I started my editing website http://www.rivertreeedit.com. I finally decided that the time for procrastinating was past; I should just dive in and do it! I really love every aspect of blogging, including the name I’d chosen. Unfortunately, I’m not alone: LOTS of people are also quite fond of the name Playing in the Kitchen. I didn’t think to Google the name until I’d posted several times. So I decided to connect with my freelance editing business; hence Rivertree Kitchen. I’ve always used a tree as a logo, and I’ve always lived near a river. 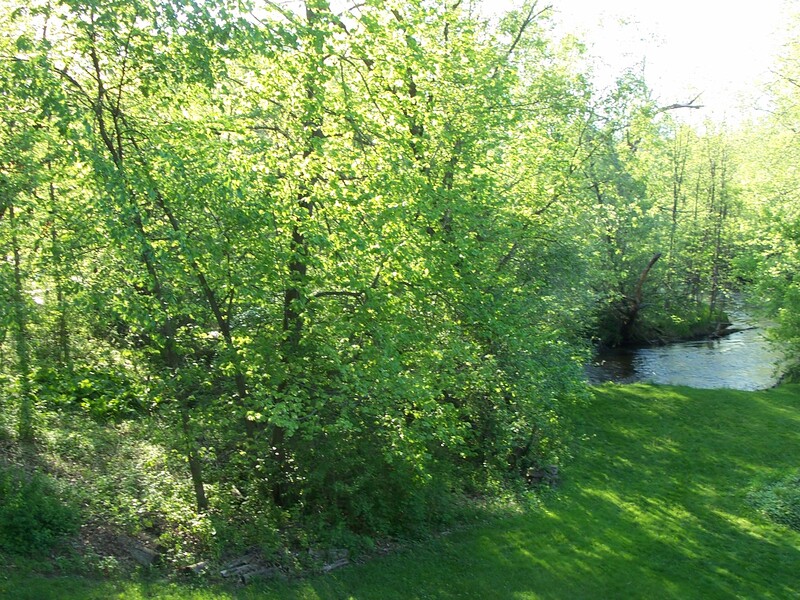 Now we have a gorgeous river running right through our backyard, and we have no shortage of trees. I will continue to write about food. I will continue to give you recipes and tell you how to make them your own. Only the name has changed; the blog remains the same.